The top 100 correlated searches is shot through with romance and fantasy novels: Lynsay Sands, romance series, Sherrilyn Kenyon, vampire book, fever series, Jeaniene Frost. Interesting stuff! I don’t suppose the ACS includes data on the percentage of newlyweds who have been married at least twice before. 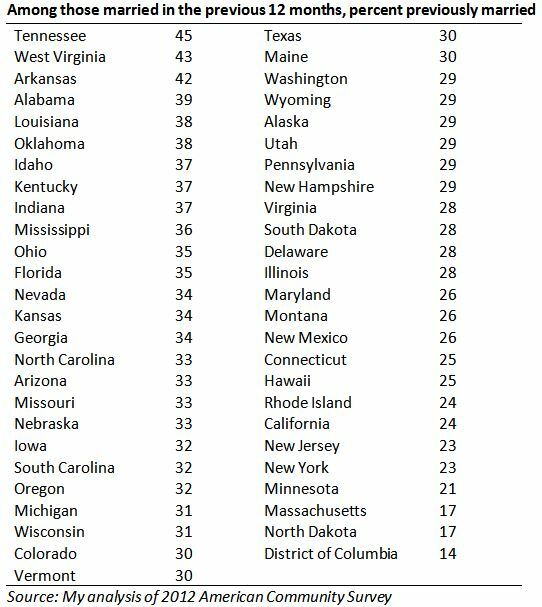 I know that roughly 5% of ever married adults in the U,S, has married 3 times or more, according to the ACS, with Arkansas and Oklahoma at the top of the state list. And I know from marriage records in greater St Louis (the city and county), where I’m doing research, roughly 7% of newlyweds are in a third or higher-order marriage. I was wondering about the national level if you happen to know. Thanks. Sure. It’s here: https://sda.usa.ipums.org/cgi-bin/sdaweb/hsda?harcsda+us2012a. You just need to cross MARRNO and MARRINYR. They have 0, 1, 2, and 3+ times married. 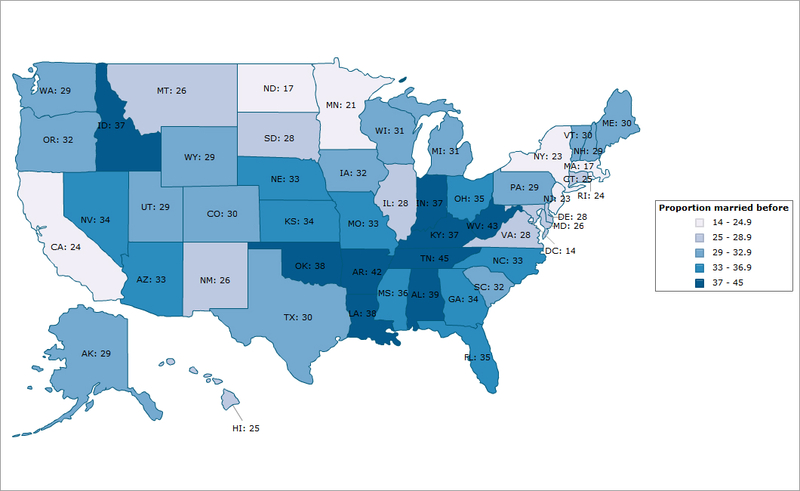 Have you tried correlating with state-level % catholics?